After Steve went to The Latymer School, Haselbury Road, Edmonton, London on a scholarship to do scientific training he went to work in Acton for CA Vandervell Ltd. [Ed. In 1926 CAV was bought by Joseph Lucas, becoming CAV-Bosch in the 30's before reverting to CAV in 1939. CAV was the world leader in diesel technology] It was during his time at CAV that the guitar playing Steve was advised to give up guitar as he couldn't make a proper barre chord! Steve then took up the cornet. The following transcript is an edited version of a Roger Trobridge interview with Steve from 30 November, 2006. Cyril's nickname 'Squirrel' was perhaps (?) given to him by Steve Lane and Steve used it frequently during this discussion recorded at Steve's home. Steve was very helpful and obliging and we would like to thank him for his kind consideration. Steve Lane (SL) - Cyril had his own business though when I knew him didn't he, Squirrel? Roger Trobridge (RT) - Panel beating and car repairs. SL - Yes, he had car repairs. I remember he had two fierce dogs at his place …cor blimey - I didn't want to go near 'em! RT - So you knew him right through to the end then, didn't you? He died in '64. SL - Well no; there was a year or two, I think, at the end that I had no connection with him. I found I hadn't got as much information as I thought I had; but I've been thinking about it. The fact of the matter is this you see, that Cyril was with us very early on. My band started in 1950 and tape recorders in this country didn't start until 1953. I had one of the first ones, which was an Elizabethan, do you remember them? It was the first one produced over here. I had to order that from a private house in Chiswick, they didn't even have a factory. They were assembling them in this house. I had to wait 3 to 4 months for it. But it was a very nice job, I must say, I had it for quite a while, used it. Yeah, so Squirrel was with us before …well let's see, it would have been about 1955 that Jack Elliot came over one evening and I went up to the Roundhouse. I think that was just about the time he'd (Cyril) gone and left us or was thinking of leaving us. Because you see, he was doing both things; he was just playing banjo when he joined us and then when the Leadbelly stuff appeared he was taken with the Leadbelly. RT - He'd got his 12 string. SL - He'd got his 12 string yeah, he ran the two together 'cause he was only doing the Leadbelly stuff once a week somewhere (Princess Louise or the Good Earth?). RT - When would that have been, when did he start getting into Leadbelly? SL - Well I would think about 1954/55 something like that. He might have left us in 1955. It was quite friendly; you know he was a very nice bloke really. We managed to get a replacement. I can't remember who it was (Ed. 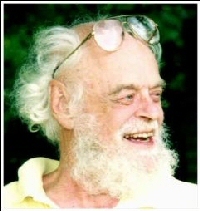 Johnny Barton). Then later when he joined up with that other chap…I forget his name. SL Yes, Alexis. I wasn't all that happy with Alexis; but it was nothing to do with me really…'cause they joined up - but I think Alexis was concentrating on making money out of the scene. What happened with him? Is he still alive? RT - He's dead now, he died in the early 80's. SL - Mmm, I mean he was a good player, I don't deny that but you know it's a different sort of set up in parts of the Traditional Jazz thing. You see I came into that from the 30s; I started off by going to the rhythm clubs in the 1930's and the people that were interested then were only interested in doing something for the music. They didn't expect to make any money and most of them didn't. I never made much money out of it, although I got a bit of a living from it when I was a partner in VJM. That was just lucky. And of course the recording business never became a possibility until well into the tape period because when they were still doing recording according to the old method, well…up to the early 50's they were doing it the old method with the wax cylinder / disk and everything - and it was tremendously expensive to get recordings done …the man on the street couldn't really do it. But once they started to use…there was a recording studio I think it was in Charing Cross Road or something which was a small place just in a shop and they did quite a good job. They recorded on those lacquer discs - but then even they were expensive. SL - Oh no, what happened there was…I have political connections as well and I used to go to a, sort of, international correspondence. I had a friend in Czechoslovakia I used to write to and the club that ran all this actually had weekly meetings at a pub near me. They used to talk about partly politics and partly the social side of it - and, when I started the band we started to rehearse there, as well. We rehearsed every week, once a week, and after about six months somebody in the band said, "well, we're playing reasonably well we ought to start a club". We had no idea of starting a club when we started to rehearse there, we just wanted to play that's all; and so, I had to go around and look for a club and we found one in Chiswick - but that didn't last long. All I can remember was that we had to hire a piano, we didn't have a piano, we had to pay to hire a piano which was £2 a week; we also had to pay the rent on the room and we got four girls to collect the money on the door and they did that every week…and it was four years before we made a profit (laughs) [Ed. Steve's Southern Stompers are known to have played at The Fox & Goose, Hanger Lane Ealing, and the Norfolk Arms, Wembley]. 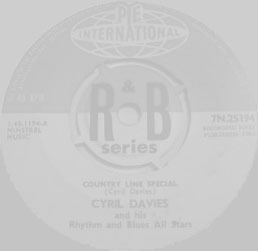 I've done a bit of research on my stuff… but I haven't got any information on any recordings with Cyril, not with my band, because he was in the time when you couldn't make recordings without a lot of money, you see (Steve subsequently was able to locate his recordings ledger revealing that Cyril did appear on record playing banjo on two tracks with the Southern Stompers in July 1955 and are detailed here; as well as the two tracks listed with Cyril, there were five other unreleased tracks: Dead Man Blues; Charleston; Beale Street Blues; Blue Blood Blues; and Southern Stomps. But, there are some other things (like) 'The Round House Jug Four'. Let me read out the personal on this because this was recorded in Kenton, that's right near here; there's a lot of shops up there - there was a café there, I forget what it was called (Ed. Northwick Tea Room, Kenton Road), and we (the VJM people) discovered, quite by chance, upstairs in this café was a function room - just like a big room that had quite a good piano in it, it was kept in tune. My band used to rehearse there; then we tried it for recording in the early days of the VJM records and it turned out to be quite good. It only lasted a couple of years because they changed what the shop was selling and they didn't have the function room any longer; but that's where this was recorded. 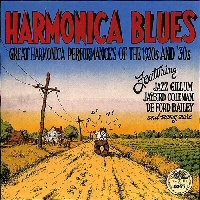 It's got: Cyril - harmonica, 12 string guitar and vocals; Geoff Bradford, does that ring a bell with you? - mandolin, guitar, and kazoo; then there's also… Reg Turner; and Lise Turner, presumably his wife is it (? ), although she doesn't do much singing on this. Are any of those still around? Incidentally that 'Hesitation Blues' is strange. It's down as by W.C. Handy but I don't recognise it as Handy's tune at all; Handy's tune has got several movements to it - I'm a great appreciator of Handy, he was a clever chap you know, W.C. Handy. SL - Oh yes, John R.T. Davies! 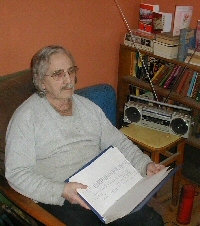 He was the greatest expert on reviving old records; marvellous bloke. Yes, I was quite close to him. In the VJM company, there were three partners, and one of them was John Wadley who was John R.T.'s pupil…first pupil and he got all his information from John. Johnny had a sort of apprenticeship with John R.T. Davies and then he was sort of a freelance recording engineer for a little while and then he actually joined a firm on the Edgeware Road, somewhere I think, it was a record shop that issued records. 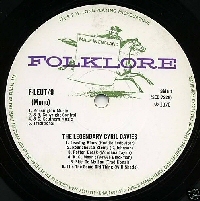 RT - There was a release in 1970 on Doug Dobell's Folklore label, 'The Legendary Cyril Davies with Alexis Korner's Breakdown Group and the Roundhouse Jug Four' (F-LEUT/9) that included these 'Jug Four' tracks. What were the details of your understanding with Doug regarding the licensing of these tracks? SL - Doug Dobell used two lots of material from me; there was an LP by my band (Ed. Steve Lane's Famous Southern Stompers 77LEU12/3 MM), on the 77 label, and there's 'The Round House Jug Four', which is a VJM issue. Now, we never sold it to Doug Dobell, we leased the material for 10 years to him and I have the lease document in my files. But when Doug died, they just took all the records on his shelf and said, "well they're all his records" and sold them off - and they had no right to sell them off - because they had no right to them! We've still got the original tapes; Doug was honest as the day is long, but of course when he was gone nobody knew what the situation was. 'The Round House Jug Four' - there were only 99 copies issued to avoid the purchase tax (on 100 pressings or more). They all sold well; we got rid of the 99, no trouble, which was quite an achievement in those days. SL - Oh, when that record was issued? RT - Yeah, when you recorded it they had been playing there and they were almost at the point of going fully electric. SL - I've got a feeling Squirrel actually approached us…(Ed. - Steve, understandably, couldn't quite remember the circumstances). Something has occurred to me…I would have a session sheet in my recording book and we could see if there were any other titles. (Steve retrieves his book and continues)…Round House Jug Four, yes there you are. You see there ARE things that weren't issued here…let's have a look at this one - make sure we know which is which; Railroad Blues, that's not there is it? SL - Well, yes you'd have to have something that would fit, yeah - so there are some un-issued items there. Ed. On a side note, Steve also explained, during the interview, his involvement as a producer on a very rare (and highly collectible!) British Blues recording 'Dharma Blues'. 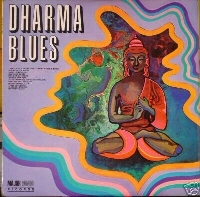 In 1967 Mike King, John Hillary and Gary Compton released an album called Dharma Blues on the Major Minor label (SMCP 5017). Note track #7; that's the Cyril penned 'Chicago Calling'! This page and all its contents, ©2007, all rights reserved.